The Mapping Platform for your organisation. 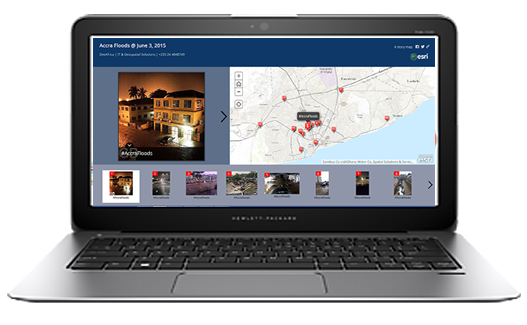 Users in your organisation can create and share maps throughout your organization, and access critical location information from your desktop, browser, tablet, or smartphone-anytime, anywhere. 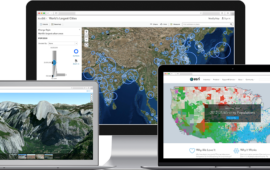 ArcGIS Online gives you everything you need to create interactive web maps and apps that you can share with anyone. It provides users …. Users can access maps and information on any device, anytime, anywhere! ArcGIS Online gives you everything you need to create interactive web maps and comes with ready-to-use productivity apps, content, and templates. Information collected in the field can easily be integrated on the GIS platform. The users can monitor activities, events, and assets through interactive dashboards. information can be shared with anyone, anytime, anywhere on their devices—desktops, browsers, smartphones, or tablets. 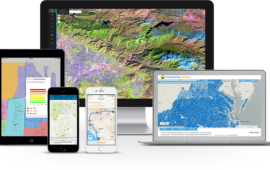 ArcGIS Online is a collaborative, cloud-based platform that allows members of an organization to use, create, and share maps, scenes, apps, and data, and access authoritative basemaps and ready-to-use apps. ArcGIS Online gives you everything you need to create interactive web maps and comes with ready-to-use productivity apps, content, and templates. Information collected in the field can easily be integrated on the GIS platform ready-to-use apps. Regardless of how you interact with the ArcGIS system, you can use its online capabilities to collaborate and share results with colleagues, stakeholders, or the public. Create maps on ArcGIS for Desktop and publish them to ArcGIS Online so others using the ArcGIS system can leverage them. Also bring information that others have shared via ArcGIS Online into your ArcGIS for Desktop projects. Using ArcGIS Explorer Online, you can bring information that others have shared into your projects. You can also create mashups from shared services and, in turn, share the new maps you create. 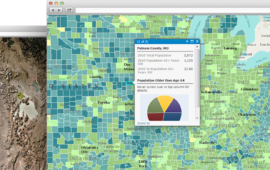 Using simple Web apps built with the ArcGIS system, you can access ArcGIS Online content. Using arcgis.com, you can browse maps and apps published to ArcGIS Online by others using the ArcGIS system, and create your own maps that you can share. 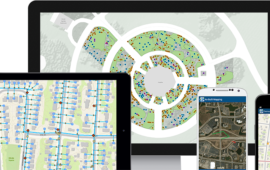 Mobile—Use ArcPad, ArcGIS for Windows Mobile, and ArcGIS for iOS to access maps shared to ArcGIS Online. 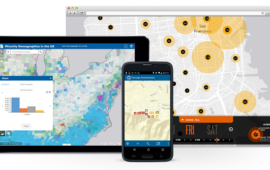 Developer tools—Build Web apps or mobile apps that leverage ArcGIS Online map and task services. ArcGIS Online is a part of an ArcGIS for Desktop license. For each ArcGIS for Desktop license that is current on maintenance, one named user account and 100 service credits will be issued. 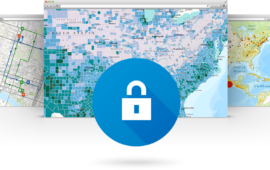 Take full advantage of ArcGIS Online without ever leaving your desktop applications. Import basemaps, search for data or features, and share information with individuals or groups from a convenient, centralized location. Customers with current ArcGIS for Desktop licenses are entitled to be part of an ArcGIS Online Organization Plan account. Alternatively, if you have Portal for ArcGIS, current ArcGIS for Desktop licenses are entitled to be part of an instance. Every eligible ArcGIS for Desktop license receives one Named User account. You’ll be asked to choose whether you want your ArcGIS for Desktop License Entitlements applied to an ArcGIS Online Organization Plan account or Portal for ArcGIS instance. You can use HTML in the ArcGIS Online website when a rich text editor is included such as in the organization description and banner, item details, group descriptions, map pop-ups, and configurable apps. In the table is the list of the supported HTML tags and attributes you can use. The home page includes a banner at the top of the page that is 960 pixels wide by 180 pixels high. You can select an image for the banner area, choosing a predefined image or uploading a file from your desktop, or you can create a custom design using rich text or HTML. Configure the banner as part of the home page settings. If you choose the Custom design option, you’ll see a rich text editor where you can position graphics and text in a what you see is what you get (WYSIWYG) format. Delete the existing banner content and replace it with your own. For further flexibility, click the View HTML Source button in the editor, which allows you to type or paste your own HTML code. If you just select an image for your banner, your logo appears within the banner image. If you use the custom design for your home page banner, the logo does not appear (unless you include it in your design). A role defines the privileges that a member has within the organization. Esri defines a set of privileges for the User, Publisher, and Administrator roles. In addition, organizations can define privileges at a more detailed level by creating and assigning custom roles. Organizations might want to refine the standard roles into a more fine-grained set of privileges. 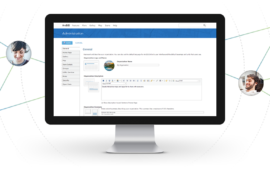 For example, members who work with the organization’s private maps and apps but do not have a need to create content can be added to the organization in a custom-defined viewer role. In addition, some administrative tasks such as inviting users or managing content can be designated to members through a custom role. There may be cases where members need to have the Esri-defined Administrator role instead of a custom role. For example, only Administrators can configure the website and create custom roles. Administrators configure custom roles based on any combination of the general and administrative privileges listed below. Additional functionality will be added in the future. Check with your Administrator for the specific privileges in your organization’s custom roles. Members who perform specific tasks within the organization—create maps or edit features, for example—can have custom roles that give them the general privileges they need to work and share with groups, content, and features. Use Esri World Geocoder to convert addresses to map points (geocoding) such as when publishing a CSV of addresses as hosted feature layers or adding a CSV of addresses to a map. Does not apply to custom geocoders configured for the organization. Edit features based on permissions set on the layer. Edit features with full control on editable hosted feature layers. Your organization might want to create roles for managing the members, groups, or content of the organization. These custom administrative roles do not contain the full set of privileges of the Administrator. Some workflows require a combination of privileges. If you cannot perform a function that you think your role should be able to do, verify that your Administrator has enabled the full set of required privileges. Use the analysis tools Create content, publish features, and use spatial analysis. Some tools require privileges to use GeoEnrichment or network analysis. Publish hosted feature layers Create content, publish hosted feature layers, and use geocoding (to publish CSV with addresses). Publish hosted tile layers Create content and publish hosted tile layers. Publish apps from the map viewer or group page Create content and share items (with groups, organization, or public). Embed maps or groups Create content and share items with public. Manage content owned by members View all member account info, view content, update content, delete content, and reassign content. Manage groups owned by members View all member account info, view group, update group, reassign group, delete group, and add member to group. Manage member profiles View all member account info and update member account info. Make groups available to Open Data sites Make groups visible to public and make groups available to Open Data. View subscription status View all member account info, view all content, and view all groups. Add, update, and delete features in hosted feature layers that have editing enabled for add or update only Edit features and edit with full control. 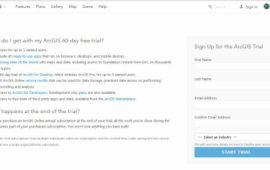 Get ArcGIS 60-day free trial. 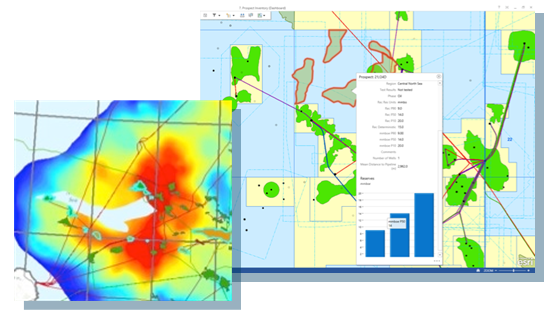 Once you purchase an ArcGIS Online annual subscription at the end of your trial, all the work you’ve done during the trial becomes part of your purchased subscription. You won’t lose anything you have built!